We add a new engaging story and educational parent guide to your personal story library each week. You stream the story from your story library or download to listen on your favorite audio platforms. Spark further learning with discussion topics, printables, recipes and activities. Each 30-minute story will teach and inspire your kids while engaging their imagination. Jasper gets a once-in-a-lifetime invitation to spend the day with the Dutch royal family! But will he get out of a tricky situation during a game of hide and seek with the princess? When Jia goes camping with her parents and encounters a fox on the Great Wall of China, she experiences something she certainly was not looking for – magic. Paintings by Vincent van Gogh are just disappearing from their canvases — like they never existed. Only Davy and Marigold can fix the problem by traveling back in time and convincing the artist to keep painting. View a Sample Parent Guide for "The Wall Watcher"
A new 30-minute original adventure delivered to your inbox every week! A parent guide with each story full of discussion topics, recipes and activities to connect your child with the culture. A new country and culture introduced every four weeks. Culture, geography and history woven into the stories in exciting ways for organic learning. Engaging characters that bring young listeners into their lives as they solve mysteries, celebrate holidays, go on adventures and make a difference in their community–all of which inspires children to learn more about that culture and country. Each week receive a new 30-minute story, with a different country featured every four weeks. You can cancel your subscription at any time. You will receive immediate, lifetime access to all 52 Europe stories. You can listen to the stories in the order and at the pace you prefer. Each week receive a new 30-minute story about Asia, with a different country featured every four weeks. You can cancel your subscription at any time. You will receive a new 30-minute story about Asia each week, with a different country featured every four weeks, until you have all 52 stories. Six fun stories about Monet, Van Gogh, Picasso, Michelangelo, O’Keeffe and Kandinsky. Learn who they were and what inspired their work. I can’t say enough about how much my boys (ages 6 and 9) LOVE Around the World Stories! They ask each week if we’ve received our new story, and they ask to re-listen to their favorite stories… that’s when I knew this was something special. I also love what they are learning about different cultures and the great moral lessons! My three daughters (9.5, 7.5, & 5.5) are all eager to listen to the new story each week. The stories are so vivid and easily inviting for all age ranges in our family. It is a lovely thing when we can come together and enjoy something so unique and straight up fun that doesn’t require anything other than our imaginations and quiet time spent in one another’s company. 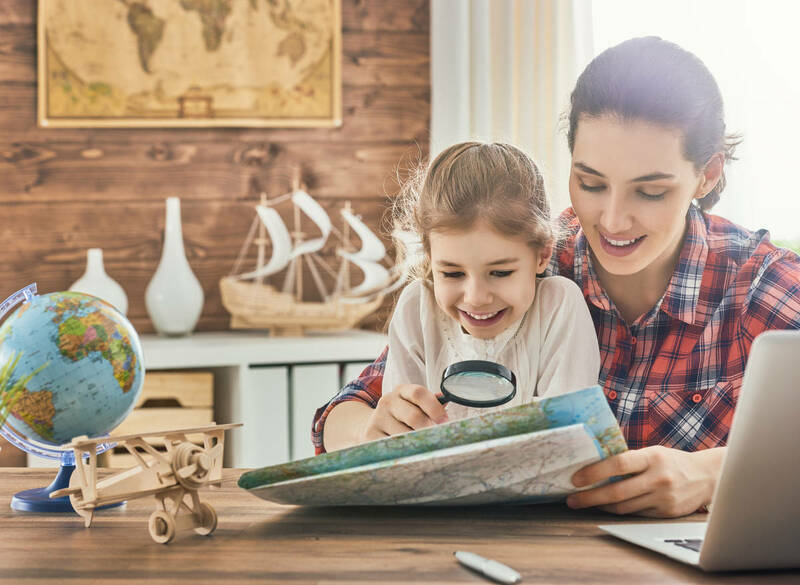 After living overseas and then returning to the US with our kids, we searched for ways to continue teaching them about the world and other cultures. We realized it was hard to keep them engaged because they weren’t connecting with the countries. We thought about how they best learn, and we soon discovered the power and joy of stories. That is when the idea of writing and sharing stories about other countries and their cultures began. 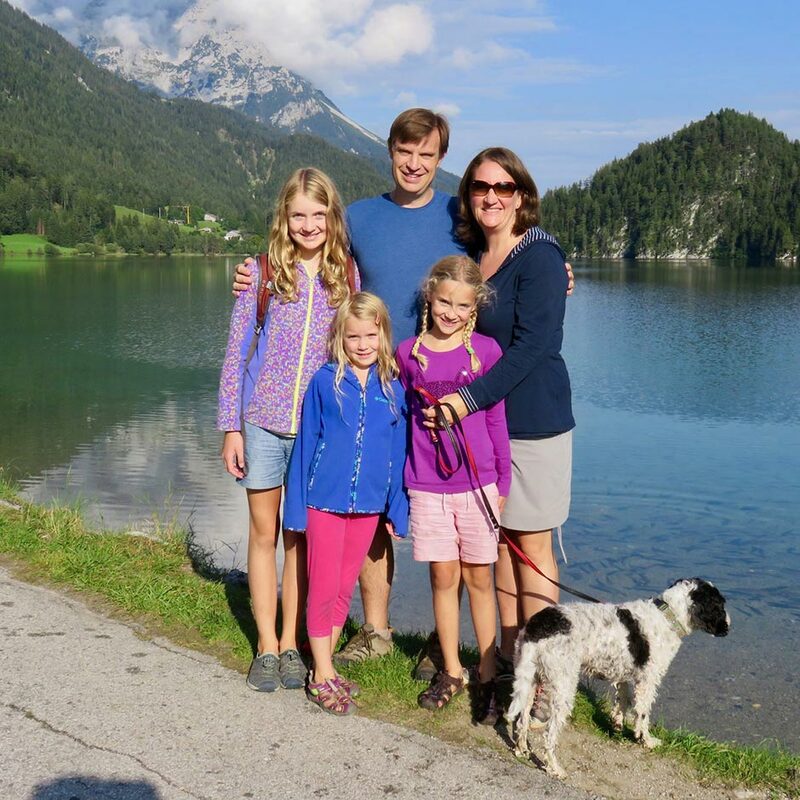 In June 2016, we left our home in Oregon and began traveling across Europe, researching, writing and recording stories about the traditions, foods, people and cultures we experienced along the way. Turning those experiences into fun adventure stories to teach kids about the world has brought us more joy than we imagined! Currently we’re in England and plotting our next global story-writing adventure over cream tea and scones. Follow our blog, and check us out on Facebook, Instagram, and Pinterest for pictures and stories from our travels. We’d love to have you along!